This corner-alley lot provides ample room for a cozy wraparound porch, side entry garage, fenced yard, and even a sitting area in the isolated master suite! 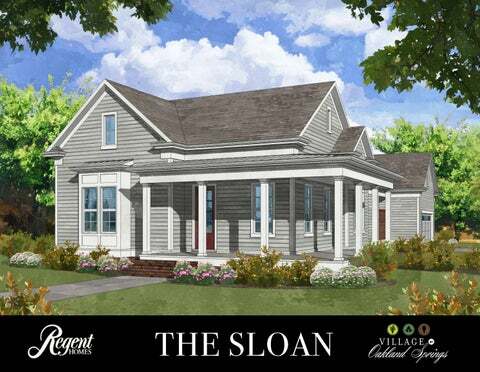 The Sloan features granite on all cabinet surfaces, an irrigation system, a tankless water heater, and is prewired for your preferred home security system. Just down from the community pond and a small block from the pool, fitness center and more!